We spent another morning at Jetty Park on Friday. Not only did we enjoy a beautiful morning, but there were plenty of birds to enjoy as well! This Black Skimmer looked like some of us feel by Friday! While it looks like this Skimmer may have crashed and burned, it is actually just resting. That large bill gets heavy! Last week there was quite a bit of skimming action going on, but this week, with the exception of a few joining the group, the Skimmers were all resting. I counted 32 of them with 8 being juveniles. 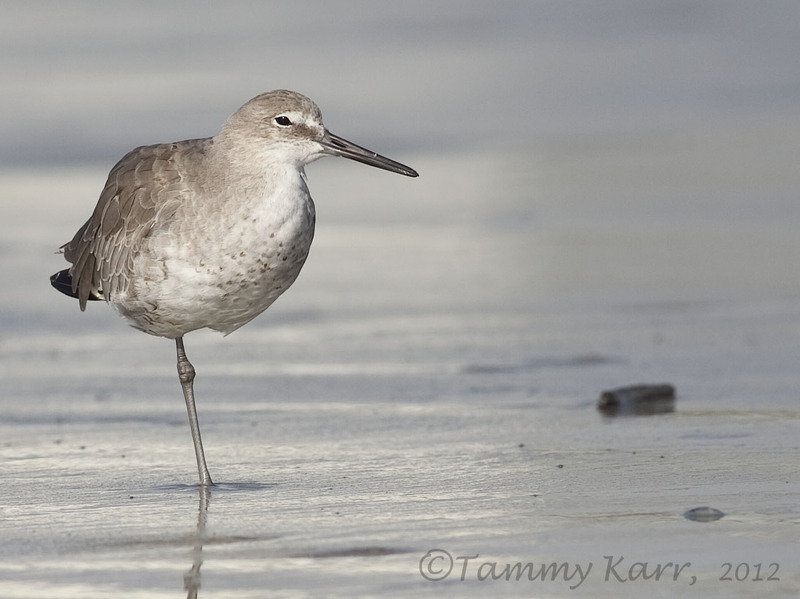 This lone Willet was practicing its one legged balancing skills. This juvenile Magnificent Frigatebird took a brief break from soaring the high skies to make a low pass along the beach where the large group of Terns, Gulls, and Skimmers were resting. After a quick check of the beach action, the Frigatebird was gone. This is the second Frigatebird I've seen at Cape Canaveral in past month. This nonbreeding Red Knot was foraging in the swallow tide with two others. Other birds that we observed include Royal Terns, Sandwich Terns, Least Terns, one Long-billed Dowitcher, one Semipalmated Plover, and numerous Sanderlings. Your beautiful pictures make me so envious! I haven't been birding in FL in years and I've yet to see a Mag. Frigatebird. Might be down that way this next spring....hope to get a little birding in. Great sequence of stories! I really like the frigatebird. Stunning series of photos as always, Tammy. Great series Tammy, especially the third one is really great, well done. So very nice to see these fantastic pictures, compliments Tammy. i always think the skimmers are so cool with that insane beak, but that first shot is hilarious! poor guy! love the frigatebird, too! you get to see such great birds! 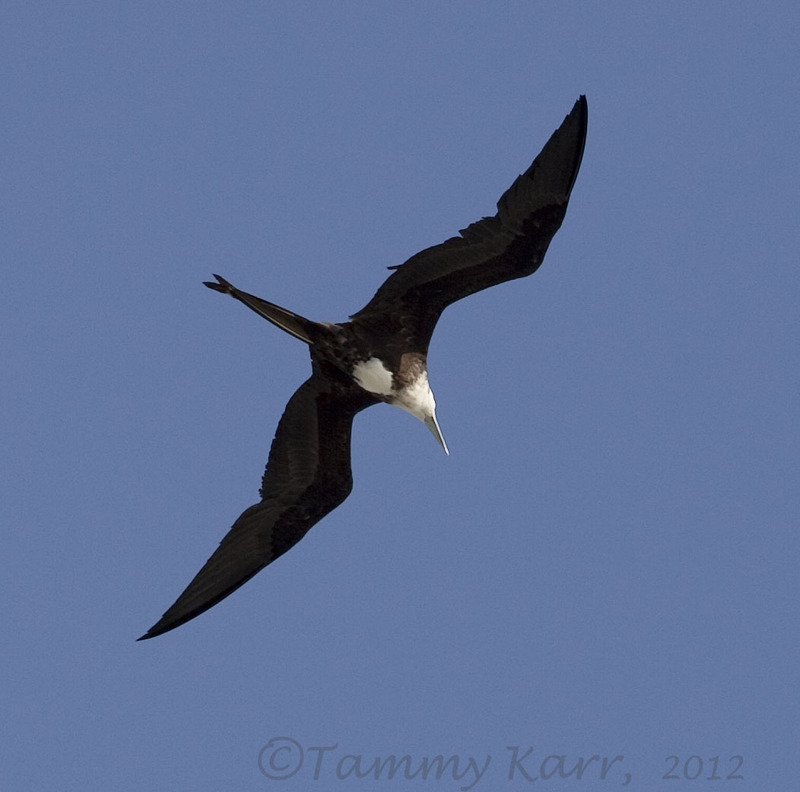 Love those Skimmer images Tammy, makes me miss seeing them though. At least I can see your images of them. Love the other images too. That top shot is excellent, as are the others. Looks like a bad crash landing. Your first shot had me laughing! It reminds me of a tired squirrel! :-) Love the Willet photo...awesome! 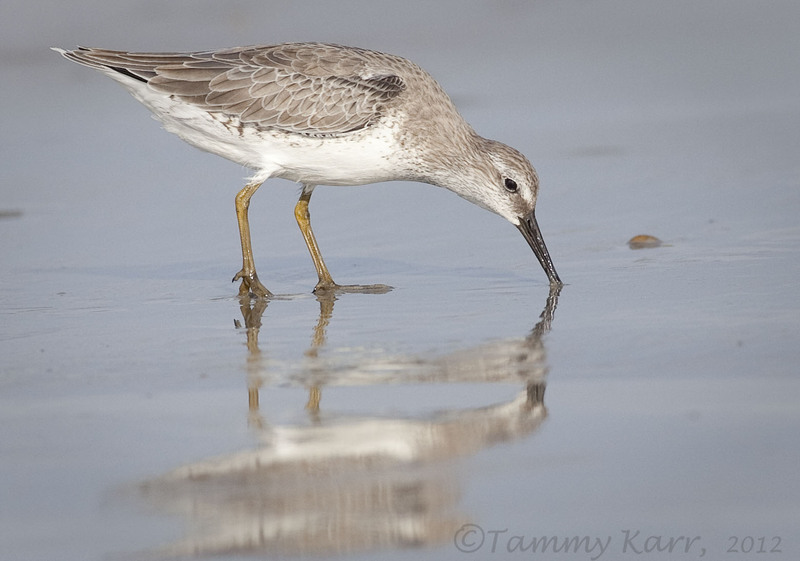 Gorgeous Red Knot shot, too! All nicely done. 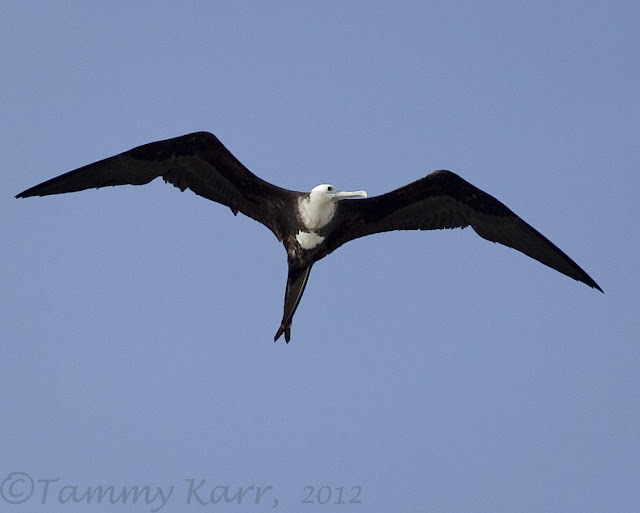 Oh man you get some awesome birds... Super jealous of the frigatebird especially. Love that resting skimmer shot too! Great images. Wifey these birds while we sailed out from Port Canaveral last Sunday. She is glad to know what they are now. You have featured some of my favorite birds today! :) The Willet being one, the Mag. Frigatebird is a real treat....and the Black Skimmer is new for me so I appreciate you showing them over your past posts. What a cool bird! Hope you had a marvelous weekend. We had a fantastic hike up the canyons and spotted lots of birds....several lifers for me. I love your first picture, I had no idea that birds actually lie down! Always a treat to see the variety and the shot/angles you take of these wonderful birds. Skimmers are weird. I just hung out with a bunch yesterday...strange creatures. Great shot, obviously, I like the knot too. I'm glad you were blessed by a frigatebird, they are the best. Tammy, such gorgeous photos! I'm sooo jealous of your skimmer sightings/shots! We moved to Florida last Nov., bought a house near the NE coast this past April, and a month later we left to work in Hawaii for 4 months..cannot wait to get home to explore the birding areas where we live. I'd only seen one skimmer and didn't get a photo. Your Blog is a sight for sore eyes even though I am seeing a handful of neat, new birds here on the big island. Thank you for sharing your beautiful artwork. Impresionantes Tammy. Saludos desde Extremadura. Tammy that skimmer bird is amazing to see, I am not familiar with most of the birds you have today so what a treat for me!!! I wondered about the position of the skimmer on the sand but we all need a good rest sometimes!! As usual, all really nice photos. 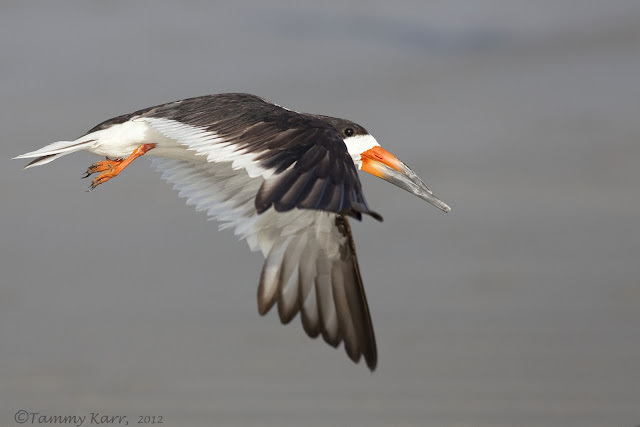 I especially like the one of the black skimmer in flight. Great capture! I know next to nothing about shore birds and take great pleasure viewing your images. Absolutely beautiful! I never thought a wild bird could rest in such a position! LOL! Lovely general lighting on all your subjects! I need to get out to that park sometime. I've never been there. Love that frigatebird! oh how precious and sweet they are!! first and fourth images are my favorite. you are always so great!! I wish I could visit once a place like this.. 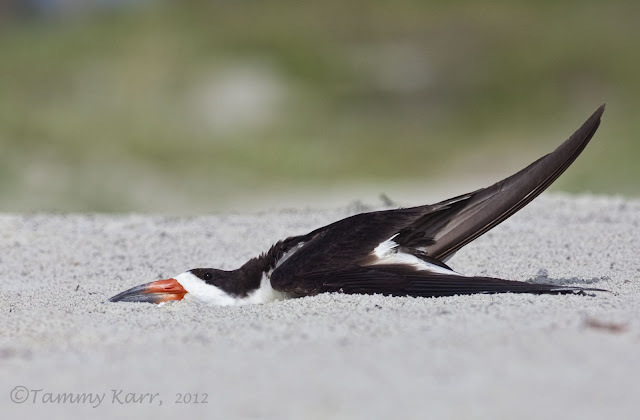 The first one of the Black Skimmer is stunning, love it!